In November 2016 voters in California approved Proposition 56 which added electronic cigarettes to the list of tobacco products subject to excise tax. That provision became effective on 1 April 2017. The tobacco products tax rate is applied to the wholesale cost of tobacco products at a rate determined annually by the California State Board of Equalization (BOE). The rate of the tobacco products tax is equivalent to the combined rate of the taxes applied to cigarettes. 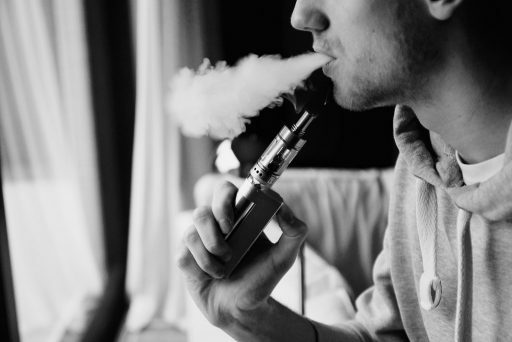 nicotine delivery devices (including, but not limited to, electronic cigarettes, e-cigars, e-pipes, vape pens and e-hookahs) sold in combination with substances containing nicotine. Nicotine delivery devices sold independently and not in combination with any liquid or substance contain nicotine will not be subject to the tobacco products tax. Proposition 56 also increased the cigarette excise tax from $0.87 to $2.87 per pack of 20 sticks. On 1 July 2017, the tax rate on tobacco products, including electronic cigarettes and other nicotine delivery devices sold in combination with nicotine, will increase at a rate equivalent to the increase on cigarettes.